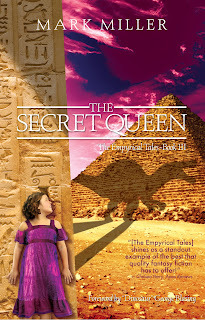 With the official release of The Empyrical Tales Book III: The Secret Queen about a week away, I wanted to revisit the original purpose for this blog. Originally, I had intended to give a "making of" commentary and work my way through the story. Like Book III, Book I: The Fourth Queen closely follows the plot of the Hero's Journey. 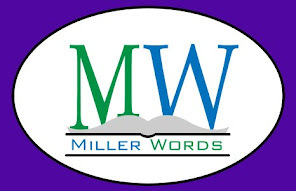 Check out the archive to see older posts, but I left off with "The Ordeal". The Ordeal is the point where the story reaches a central crisis. The aspiring hero character either literally or metaphorically dies in order to be reborn as the hero. It is a point where the hero must face a dark version of, in this case, herself. She must challenge the villain and it must be extremely difficult to defeat him. This should be the time when the hero faces her greatest fear. As Joseph Campbell said the ordeal signifies the death of the ego, an apotheosis. I want to be followed, except for that one guy that is literally following me. Stop it. Seriously, stop. Joking aside, I am going to attempt my first "Live Tweeting" event this Saturday. When I go to my book signing at Heroes Landing (http://heroeslanding.com/) from 1PM to 3PM in Clermont, FL, I will take as many pics and make as many tweets as I can. I hope you will join me in the fun with your comments. It is going to be a huge day. 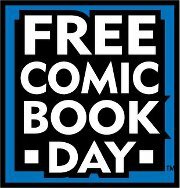 Besides selling vouchers for advance copies of The Secret Queen, it is FREE COMIC BOOK DAY! There will be other guest artists and authors, a Geeky Pinup booth, face-painting, surprise sales and more. Let your inner nerd have some fun this weekend!